OPPORTUNITY KNOCKS AT THESE 5 AMAZING AVON PROPERTIES. 3 ARE WATERFRONT. POSSIBLY THE BEST WATERFRONT AT THE END OF THE AVON MAINTAINED CHANNEL. 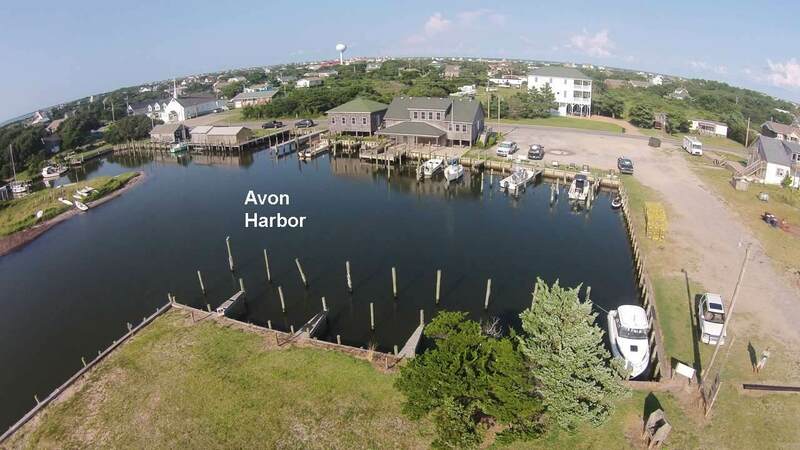 WATERFRONT PARCEL #1 IS THE SITE OF THE FORMER AVON SEAFOOD COMMERCIAL OUTLET AND LANDING. 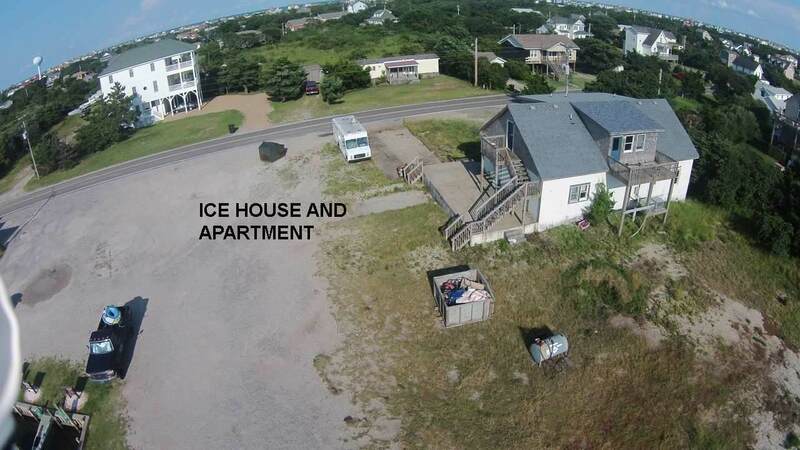 BUILDING HAS DOCKAGE, STORAGE, SMALL ICE HOUSE, OFFICE, AND UNFINISHED APARTMENT. 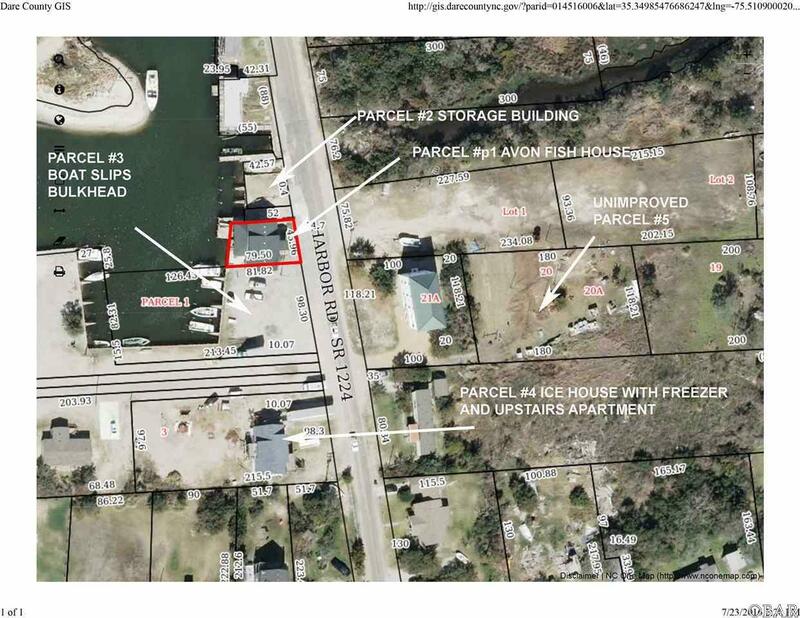 WATERFRONT PARCEL #2 HAS 3 BOAT SLIPS AND UNFINISHED 900S.F. STORAGE BUILDING. UNIMPROVED PARCEL #3 HAS BOAT SLIPS AND A LONG STRETCH OF BULKHEAD FOR DOCKING. PARCEL #4 HAS AN ICE HOUSE WITH STORAGE AND 10X19 FREEZER ROOM. ON THE SECOND STORY IS AN APARTMENT. PARCEL #5 IS AN UNIMPROVED VACANT PARCEL ON THE EAST SIDE OF HARBOR RD. THIS PARCEL MAY PROVIDE ADDITIONAL SEPTIC ROOM OR OTHER PARCELS. LET YOUR IMAGINATION RUN WILD. PLEASE REVIEW ASSOCIATED DOCUMENTS FOR PERMITTED USAGES FOR R2A ZONING. PROPERTY SOLD "AS IS WHERE IS". SELLER MAKES NO WARRANTIES OR REPRESENTATIONS. PROPERTY TO BE CONVEYED BY A SPECIAL WARRANTY DEED. CALL FOR CLARIFICATION. 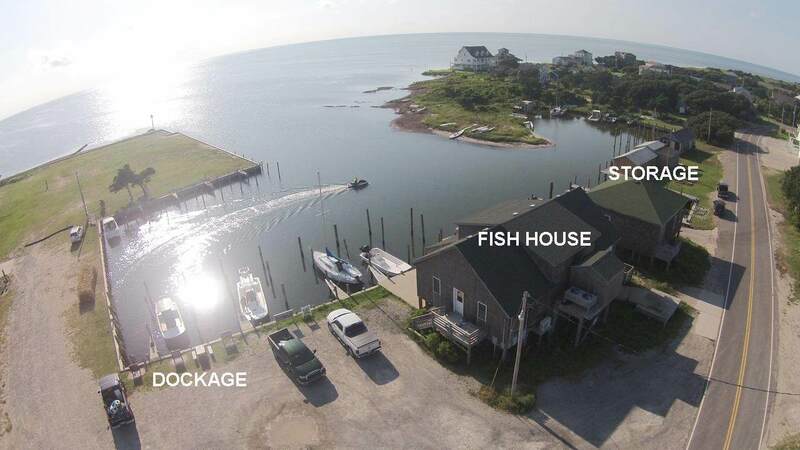 Listing courtesy of Robert Barris of Hatteras Realty - Avon.